Selling a home is a big undertaking. It takes toll on you are owner who wants to sell and in preparation has to go through so much to finally have the home ready for sale. The process of choosing a Realtor to work with; determining a listing price, moving arrangements; if buying, trying to match your sale closing date with that of your newly purchased home, dealing with bank, mortgage arrangement, kids school change and many more. Having an experienced and honest real estate agent by your side during this process is crucial. Choosing the right agent to work with is your biggest success in taking the process further. 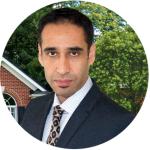 You should know that in the Toronto or Mississauga or any other cities in the GTA there is no shortage of agents. In fact there is one realtor for every 65 household in Ontario. So do yourself a favour and take your time when deciding which Real Estate agent will work for you. Your agent will help you determine the asking price for your home by providing you with useful facts about the current market. From list of current inventory to recently sold homes including all details about sold properties such as property size, condition, number of bedrooms, location, number of days on the market, renovations and improvements and any other item that effects the sale price of a home is provided to your by your agent. Based on all the facts and a detailed comparison of your home with available homes and the sold ones you will come up with a listing price for your home. A higher priced home will cause buyers to lose interest in the property and a low priced listing, if not handled well during receiving offer, will end up costing you thousands. On many occasions home sellers and their realtor price the home very competitively in order to create a multiple offer situation but this has to be planned and executed well in order for you to achieve your desire sale price.